Initially through an ecumenical church program in Baltimore in 2006, we began assisting the people of San Juan de Limay, Nicaragua to build basic houses for people living in unbelievable conditions. During the first two years we provided funds to build 12 houses. In 2008, we decided to work directly with our sister parish, San Juan de Bautiste, and its pastor, Father Bayardo, in San Juan de Limay. St. John Vianney&apos;s then pastor, Fr. Peter Daly, and several interested parishioners visited Nicaragua in July, 2008. As a result of that visit, a committee of dedicated parishioners from our sister parish in San Juan de Limay was set up to interview and determine the “poorest of the poor” within their parish boundaries (roughly the size of Calvert County) as potential housing recipients. Each eligible family must have title to their land and provide volunteer help in building their house. The houses themselves are approximately 20 X 20 feet in size. They are made of locally produced clay bricks with either clay brick or concrete floors with two doors and one window and a metal roof. The original cost of a house was $2,500, which has increased to $2,600 when we switched from wood to metal rafters. We provide the funds for the houses, not the labor to build them. Our original goal of building 100 houses has long been passed. As of July 2017, we have built over 350 houses in the San Juan de Limay area. In July, 2017, Bishop Mata of the diocese of Esteli, asked us to close our house building program in Limay and move to the parish of St. Don Bosco in Esteli where he feels the need for housing for the poorest of the poor is now greater. Funds for 10 houses in the new parish were sent in the early fall of 2017 by St. John Vianney&apos;s new pastor, Fr. Dan Carson. In January, 2018, Fr. Carson, accompanied by Fr. Jaime Hernandez and six interested parishioners, went on a mission trip to visit the new parish and review their progress in starting the new housing program in Esteli. Fr. Carson and the mission team visited and blessed 10 houses built in the slums of Esteli and in impoverished villages in the surrounding mountains. 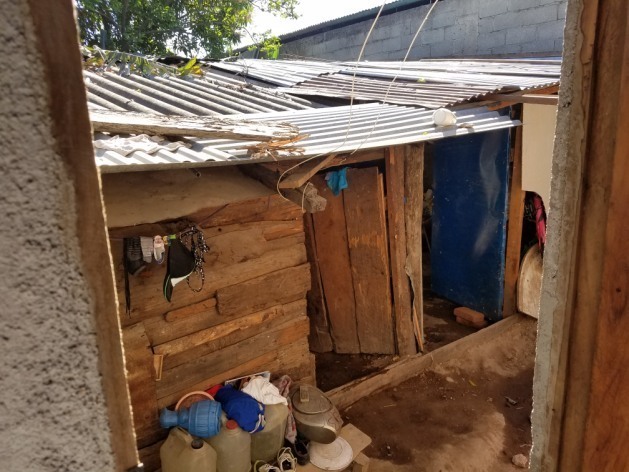 The mission team found the needs of the poor to be great and so, with the continuing guidance of the Holy Spirit, this new phase of the St. John Vianney Nicaragua Housing Program is well underway with a goal of 350 more houses for the poorest of God&apos;s poor.